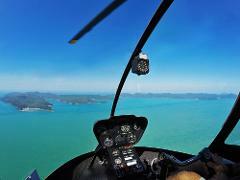 Travel in style, and arrive or depart Daydream Island by helicopter. 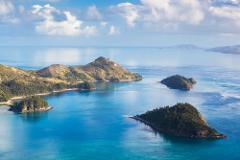 The Whitsunday Heli Experience offers a unique way of viewing the Whitsunday Islands from above. 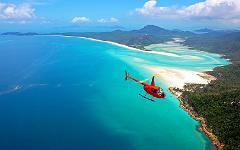 Whitehaven Beach Heli experience is our signature helicopter tour and for a good reason! It's an exclusive way of getting to and from world famous Whitehaven Beach, with aerial views of the beautiful Whitsunday Islands along the way. 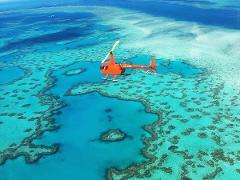 Enjoy the best views of the Great Barrier Reef, with this helicopter tour that really does include it all! Enjoy the best views of the Whitsunday Islands, Hill Inlet, Whitehaven Beach, and the Great Barrier Reef including the Heart Reef, on our Reef Scenic Helicopter Tour. This is a fantastic must do experience if you're short on time!